Allen logged 55 of a possible 64 snaps on offense in Sunday's 38-31 win over the Bears. Analysis: With both Rob Gronkowski (back/ankle) and Jacob Hollister (hamstring) out, Allen was the only tight end the Patriots had available Sunday. Despite the heavy snap count, Allen was not targeted in the game. 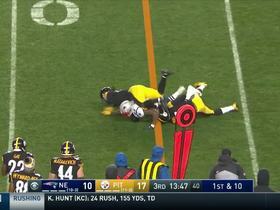 He did, however, make an impact as a blocker, notably on James White's second TD of the day. 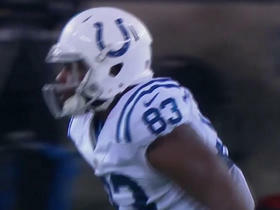 Allen is clearly off the fantasy radar these days, even when Gronkowski is sidelined. Allen is expected to start at tight end and handle most of the snaps at the position Sunday against the Bears with both Rob Gronkowski (back/ankle) and Jacob Hollister (hamstring) ruled out for the contest, Austin Knoblauch of NFL.com reports. Allen was on the field for 11 of a possible 78 snaps on offense in Sunday's 43-40 win over the Chiefs. Analysis: Allen, who was not targeted for the second straight game, is well off the fantasy radar, with just one catch for minus-4 yards through five games to date. That won't change as long as Rob Gronkowski remains healthy enough to play. Allen was on the field for 12 of the Patriots' 69 offensive snaps and wasn't targeted in Thursday's 38-24 win over the Colts. Analysis: With Rob Gronkowski cleared to play in Week 5, Allen was limited to backup duties at tight end and his snaps were predictably limited as a result. Though he's regarded as a solid blocker, Allen will remain an afterthought in the fantasy realm as long as Gronkowski finds his way into the lineup. Allen was on the field for 45 of the Patriots' 81 snaps on offense in Sunday's 38-7 win over the Dolphins. 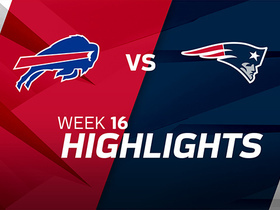 Analysis: Allen's first catch of the season resulted in a loss of four yards, but it's possible that he'll factor in more Week 5, with Rob Gronkowski dealing with an ankle injury and Jacob Hollister hampered by a chest issue. Allen logged 17 out of a possible 48 snaps on offense in Sunday's loss to the Lions. Analysis: Allen saw all his snaps when the Patriots ran two-tight end sets and was not targeted in the game. The 28-year-old is still looking for his first catch of the 2018 season and therefore off the fantasy radar. Allen logged 13 out of a possible 61 snaps on offense in Sunday's loss to the Jaguars. Analysis: Allen was not targeted in the game, underscoring that he's off the fantasy radar while working behind Rob Gronkowski and with fellow tight end Jacob Hollister carving out a role in the team's passing game at Allen's expense. Allen logged 23 out of a possible 75 snaps on offense in Sunday's 27-20 win over the Texans. Analysis: Allen was not targeted in the game. Meanwhile, starting tight end Rob Gronkowski was on the field for all 75 snaps en route to hauling in seven passes for 123 yards and a TD. Allen is clearly off the fantasy radar as long as Gronkowski is healthy, but his blocking ability is valuable to the Patriots. Allen has re-worked his contract with the Patriots, Field Yates of ESPN reports. Allen (undisclosed) has resumed practicing this week, Kevin Duffy of the Boston Herald reports. Analysis: There was some thought that Allen's $5 million cap hit might cost him his roster spot, but it looks like he'll stick around, given that his blocking is valued by the Patriots. As long as starting tight end Rob Gronkowski is healthy, Allen's fantasy value is minimal. In any case, in the event of a Gronkowski injury, it wouldn't be surprising if it was Jacob Hollister that stepped into a greater pass-catching role rather than Allen. Allen (undisclosed) logged a "did not play" in Thursday's preseason game against the Eagles. Analysis: With Rob Gronkowski rested Thursday, Jacob Hollister drew the start at tight end for the Patriots. While it looks like Allen will stick around thanks to his blocking ability, he shouldn't necessarily be viewed as Gronkowski insurance. Hollister's pass-catching skills seem likely to land him a roster spot, and he'd probably step into a more productive role in the event that Gronkowski misses any time. Allen (undisclosed) isn't expected to play in Thursday's tilt against the Eagles, Doug Kyed of NESN.com reports. Analysis: Allen was injured in practice Tuesday and he'll likely sit this one out. With Rob Gronkowski slated to be rested Thursday, fellow TE Jacob Hollister should see added opportunities in the Patriots offense versus Philadelphia. Allen left Tuesday's practice with an unspecified injury, Jeff Howe of The Athletic Boston reports. Allen may be asked to take a pay cut, ESPN.com's Mike Reiss reports. Allen finished the 2017 regular season with 10 catches on 22 targets for 86 yards and a TD. Allen was on the field for 26 of 60 snaps on offense in Sunday's 27-24 win over the Steelers. 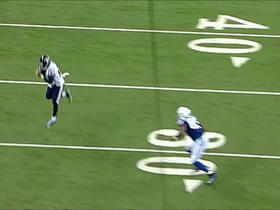 Analysis: Allen caught his only target in the contest for 10 yards. Meanwhile, top tight end Rob Gronkowski returned from a one-game suspension and played every snap on offense Sunday, hauling in nine catches for 168 yards. Though Allen could conceivably see the odd red-zone target in the coming weeks, he's not a fantasy lineup option as long as Rob Gronkowski is in uniform. Allen was on the field for a season-high 56 out of a possible 61 snaps on offense in Monday night's 27-20 loss to the Dolphins. Analysis: In the process, Allen logged two catches (on five targets) for 10 yards. While the one-game absence of Rob Gronkowski (suspension) led to more playing for Allen in Week 14, the Patriots didn't run their two-tight-end package Monday, per ESPN's Mike Reiss, instead favoring three-wideout alignments in the contest. Allen will revert to a backup/complementary role this coming Sunday against the Steelers, with Gronkowski's return to action on tap. Allen figures to take on an expanded role with Rob Gronkowski suspended for Week 14 in Miami, ESPN.com's Mike Reiss reports. Allen, who was on the field for 37 of 70 snaps on offense in Sunday's 23-3 win over the Bills, caught his only target in the contest for three yards. Analysis: Allen continues to make more of an impact as a blocker than a pass-catcher in the Patriots offense, but that may change some next Monday against the Dolphins in the event that Rob Gronkowski draws a suspension for his late hit on Buffalo's Tre'Davious White on Sunday. Allen was on the field for 38 of 70 snaps on offense in Sunday's 35-17 win over the Dolphins. 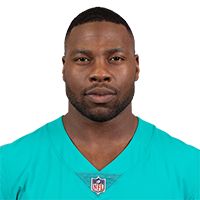 Analysis: With Martellus Bennett (shoulder/hamstring) inactive Sunday, Allen saw added work Week 12, but it only yielded him one catch for two yards. Though Allen could conceivably see the odd red-zone target down the road, he's not a fantasy lineup option as long as Rob Gronkowski is available. 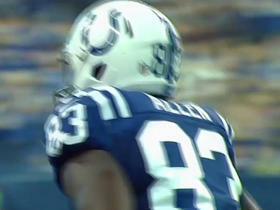 Allen logged 25 of a possible 60 snaps on offense in Sunday's 33-8 win over the Raiders, ESPN's Mike Reiss reports. Analysis: Allen, whose first catch of the season came Week 10, hauled in both of his targets Sunday for 24 yards. The arrival of fellow tight end Martellus Bennett hasn't cost Allen his blocking-heavy role in the Patriots offense, but there's still minimal fantasy upside to be had here, as long as Rob Gronkowski remains healthy. 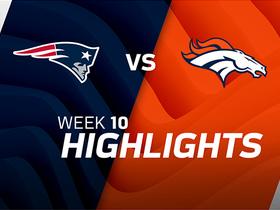 Allen was on the field for 20 out of a possible 70 snaps on offense in Sunday's 41-16 win over the Broncos, ESPN's Mike Reiss reports. 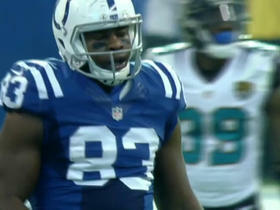 Analysis: More importantly, Allen caught his first pass of the season (on two targets), which resulted in an 11-yard TD. 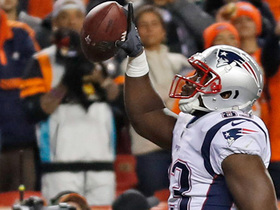 The continued presence and health of Rob Gronkowski, coupled with the team's recent addition of Martellus Bennett, however, limits Allen's fantasy utility in the coming weeks.